What a month it is!!! You’re probably wondering why this newsletter is so early. Normally my newsletters are published right at the end of the month, or sometimes at the beginning of the month. Well, there’s a few reasons why. Firstly, I’m excited to announce all of the shows I’m doing this month. Secondly, I am going to be so busy in rehearsals that I am not going to have another moment to write all this out, let alone remember it all. So here it is!!! After much preparation and hard work, I am pleased to officially announce that I am part of this huge project. 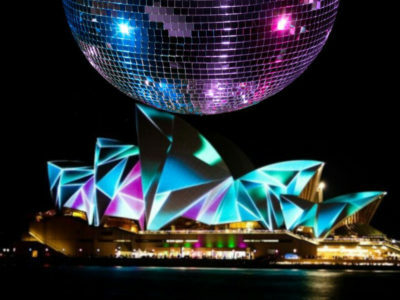 We are bringing disco to the Sydney Opera House like never before. I am excited to be working with 6 of disco’s most well known singers and performers such as Norma Jean Wright (formerly of CHIC), Cynthia Johnson (the original voice of Funkytown), Ultra Naté (stars on 54), Kym Mazelle, Denise Pearson (Five Star) and Pauline Henry (The Chimes), along side some of Australia’s most talented musicians and artists, and finally, not to mention, a brilliant 45 piece Symphony Orchestra. This performance is on the 6th of October, and a huge deal for me. The private practice sessions have been a challenge and pushed me to learn some new skills as well as revisit old ones. It will be a single show only (at this stage). Coming down from that high, I’ll be back into my M.O. – Western Swing and Bluegrass supporting the Sweet Jelly Rolls at their new Album launch at Shady Pines Saloon the following evening. Check Facebook for further details, show start times. Then a much needed break after that hectic couple of performances, I’ll be at the Polit Bar, Canberra on the 20th of Oct performing with the extremely talented, and sultry ladies of the 1940’s Style USO Show. This will be followed by a second show a fair bit closer to home, on the 27th of Oct, at the School of Arts, Wentworth Falls – Blue Mountains. Tickets are still available for both these shows via the link to each show. However, on this same day as the Wentworth Falls USO show, I will be with CK & the 45s just up the road at The Carrington Hotel in Katoomba for the Oktoberfest celebrations. That’s right, we’ll be bringing our tasty Western Swing to the German festivities. Brace yourselves! A third and final show will be in Newcastle, but that’s in November. You’ll have to wait for the next newsletter for those details.